Pyjama Drama Rainbows Class (ages 2-4), every Monday. Pyjama Drama's Rainbow Class is for children aged 2 to 4 and aims to develop their key skills! Do you have a child aged between 2 to 4 and looking to try something new? 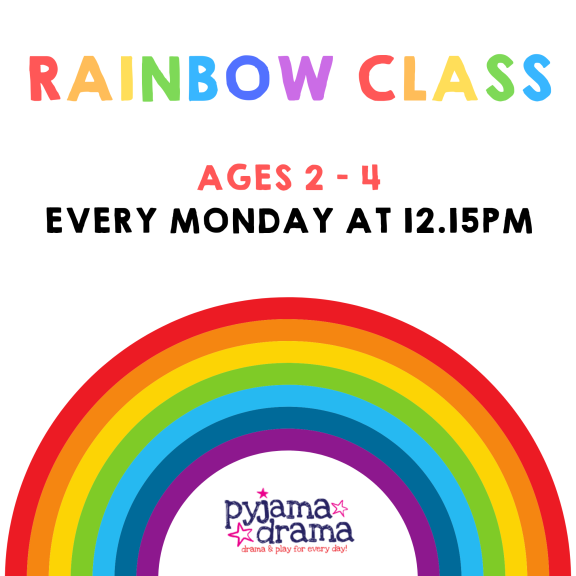 Visit Pyjama Drama for their Rainbow Class... This class allows children to sing, dance, play games and do lots of pretending! It's designed to develop key skills in young children by taking them on a new adventure each week. This class takes place every Monday at 12.15pm and last for approximately 1 hour. It's £5 per session, paid termly, however you can join at any time. This class takes place at Pelsall Village Centre, High Street, Pelsall, WS3 4LX. For more information call Pyjama Drama on 01922 896990.